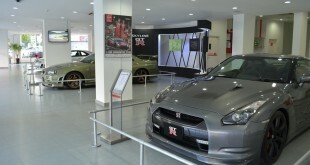 The 2010 Nissan GT-R’s latest record breaking lap time of 7min 26.70 seconds that was achieved on April 23, 2009. The driver behind the steering wheel is Nissan’s Chief test driver, Toshio Suzuki. Check out the video clip that shot with an inboard camera in the GT-R on latest record breaking lap time.